Meghan Trainor Set To Perform At KISS FM’s Jingle Ball! 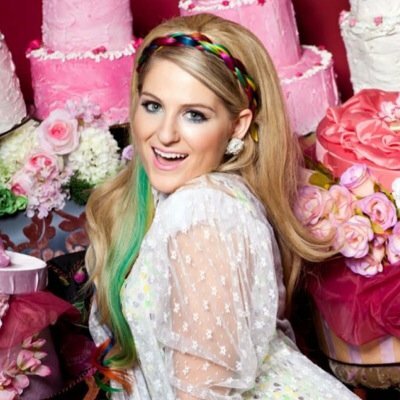 Meghan Trainor made a happy announcement on her Twitter just a short while ago. The “All About That Bass” singer talked excitedly about being able to perform at 106.1 KISS FM’s Jingle Ball on November 30th! Many of your favorite artists like Jake Miller, Jason Derulo, Nick Jonas and more will be performing! Get your tickets for this holiday performance now by going HERE! 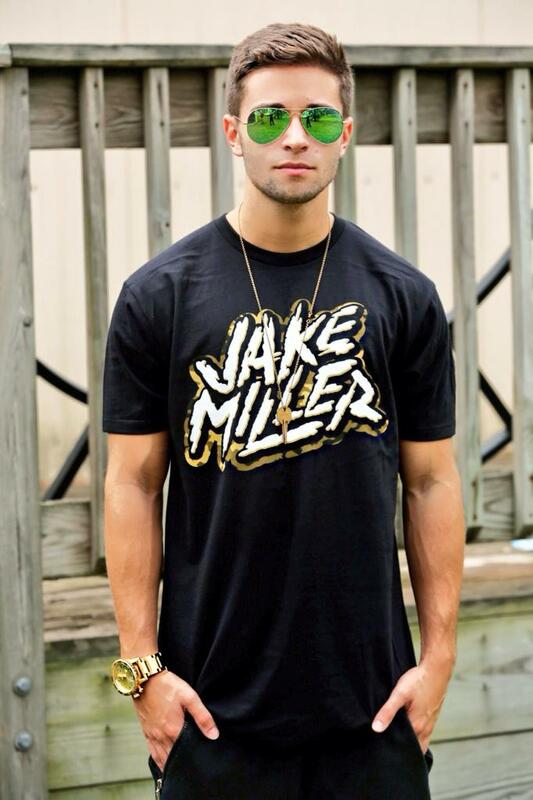 Jake Miller’s Heading Back To Iowa On September 23rd For A Cause — Details Here! Hey, Des Moines Millertary! Hope you’re ready to welcome Jake Miller with open arms as he comes to visit on September 23rd to do a special performance. Jake will be singing live for 107.5 Kiss Fm listeners at Wooly’s! So make sure you buy your tickets now as all proceeds will go to benefit Pitt Hopkins Research Foundation! For more info and ticket purchases, please click HERE. 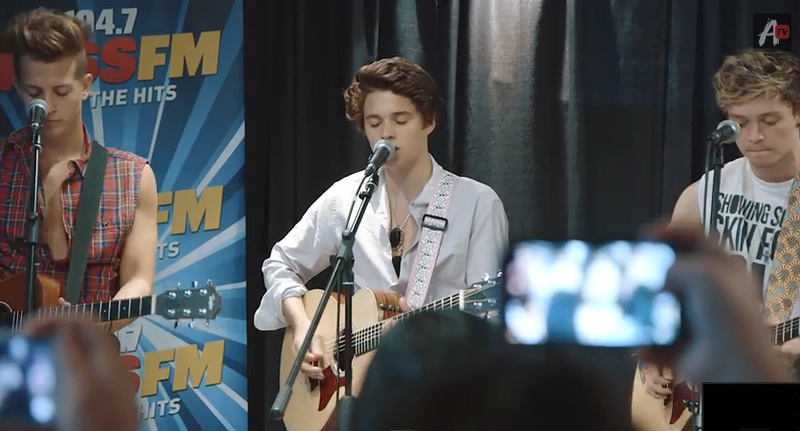 It’s Birthday Time For Brad Of The Vamps In The Vamps Takeover Episode 2 — Watch Now! Are you ready another fun episode of The Vamps Takeover from AwesomenessTV? In episode 2, it’s all about Brad Simpson! Why? Because he’s the birthday boy! In this episode, we get to follow Brad (and the rest of The Vamps) throughout the day as he celebrates his birthday. We get great footage of the guys performing for a KISS FM audience with a surprise birthday cake, meeting and greeting with fans, heading to the venue and of course snippets of their performance. Check out Brad’s birthday day in the video below and tell us your favorite part! 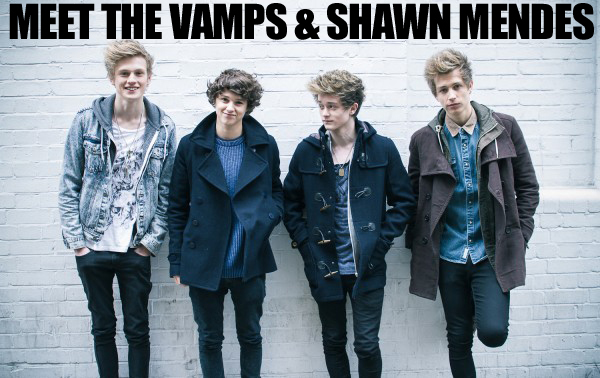 Want To Meet Shawn Mendes & The Vamps In Phoenix? Hey, Phoenix! How would you like the chance to meet Shawn Mendes and The Vamps on Tuesday, July 29th at 104.7 KISS FM studio? KISS FM is giving you a great chance, though time is running out! To enter, head to 1047KISSFM.com and follow the very easy instructions! Within minutes you’ll get your chance entered! Good luck! 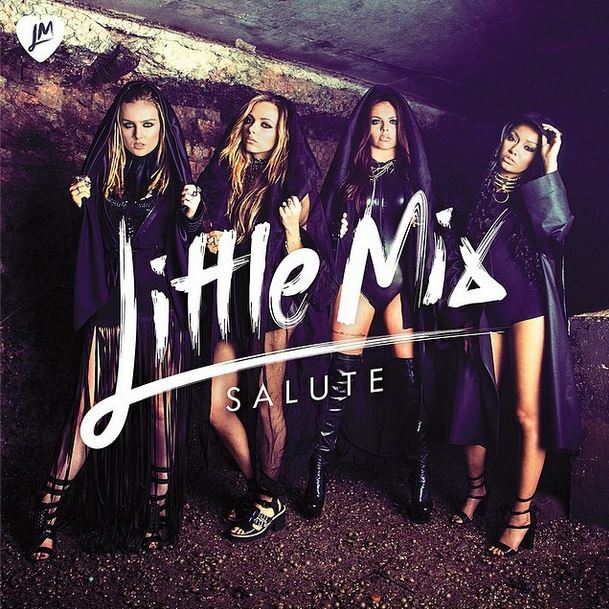 Little Mix Talks “Salute” And ‘X Factor 2014’ With Kiss FM! – Watch Here! The talented ladies of Little Mix recently sat down for an interview with KISS FM in UK where the singers talked about their Salute Tour as well as their music. During the interview, Little Mix member, Perrie Edwards, was not able to be there due to feeling a bit under the weather but the rest of the ladies were able to chat. The ladies also talked about X Factor and who they’d want the judge to be. Be sure to check out everything they had to say in their interview by watching it in the video below and let us know what you think by commenting! Demi Lovato Performs Ed Sheeran’s “Give Me Love” + Her Own Hits At iHeartRadio Live — Watch Now! Miss Demi Lovato’s live streaming iHeartRadio Live show from the iHeartRadio Theater in Burbank, CA last night (April 14)? No worries, we’ve got the goods for you right here! Last night, we brought you a ton of pics of Demi rocking the intimate crowd of around 450 fans — and fans across the world watching online, of course — with her ombre locks, kickass style, and incredible voice. Now, you can watch part of the show, including a superb cover of Ed Sheeran’s “Give Me Love” and performances of her own songs like “Really Don’t Care,” “Fire Starter,” “Skyscraper,” “Catch Me,” “Here We Go Again,” “Made in the USA,” “Warrior,” “Unbroken,” and her rendition of the ultra-popular “Let It Go” from Disney’s Frozen! Check out her Ed cover alone or watch through our whole playlist below to catch all the songs mentioned and let us know what your favorite performance of the night was! Demi Lovato Rocks It Out (With Ombre Locks!) For iHeartRadio Live Concert — Check Out The Pics! Did you catch iHeartRadio Live with Demi Lovato? The incredible concert, presented by Frankly Chat and Clear Channel, was hosted by KISS radio personality JoJo at the the iHeartRadio Theater in Burbank, California on Monday night (April 14) and broadcast on Yahoo! for Demi fans around the world who tuned in. In addition to rocking the intimate crowd of around 450 fans with everything from her biggest hits to a cover of Ed Sheeran’s “Give Me Love”, Demi was rocking some blonde extensions to give her new brunette hairdo a beautiful ombre look — changing it up yet again after the colorful clip-ins she sported over the weekend for a Seventeen mag photo shoot (and kept them in for her night out at Eleven Nightclub)! As always, she was looking flawlessly cool in a white v-neck, leather jacket, and torn jeans, with a bunch of shiny hardware around her neck, wrists, and fingers! Check out the pics of Demi’s iHeartRadio Live look in the gallery below now and let us know how you liked the show if you watched!